If you're an impulse buyer and own an Android smartwatch, you may not want to read this. 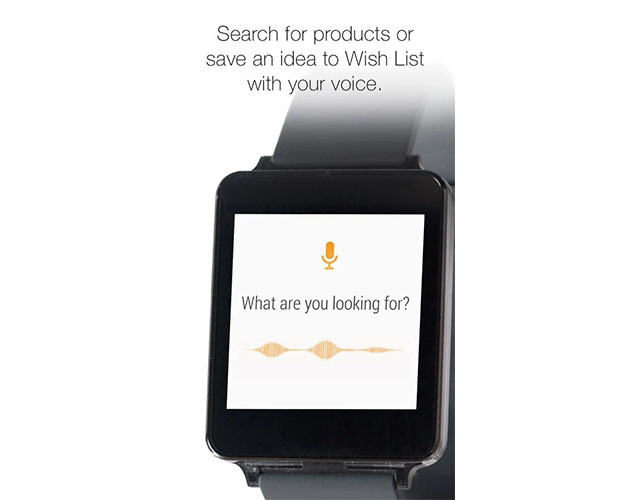 Amazon's Google Play app for Android Lollipop now lets you "search for products, buy with 1-click or add products to (your) wish list" with an Android Wear watch. On top of being able to order a banana slicer instantly after yelling "start Amazon" at your wrist, you'll also get Android 5.0 (Lollipop) support. The app will work with Android 4.3 or higher, depending on your device. Ready to buy without even taking your phone out of your pocket? Really? Grab it here.